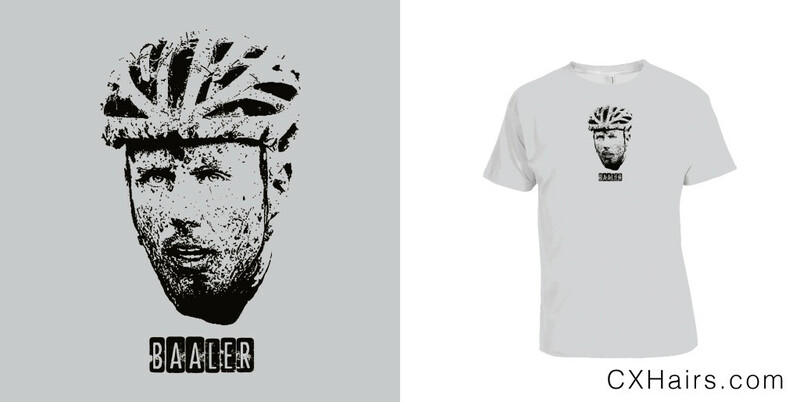 In honor of Sven Nys’ laatste ronde, we are offering to you, the cyclocross aficionado, this tribute to the man from Baal … the BAALER. A “baller” is the best of the best at what they do. And in cyclocross, Sven Nys is the ultimate baaler. Pre-0rder is open now at SVENNESS.com. Shirts will be shipped at the end of September. Although, if all goes well, we should have a limited supply available at CrossVegas. If you are ordering outside of the continental U.S., including Canada. Please use the International Shipping option or we can’t send you your shirt. Thanks!